Per The Hollywood Reporter, Miller will be writing the script with Morrison in a bid to stay on as the title character. This comes after word that he had been engaged in a creative clash with Daley and Goldstein. The two are the latest directors to board the project after Seth Grahame-Smith and then Rick Famuyiwa left over creative differences of their own. Additionally, Sam Raimi and Marc Webb passed on the project after being rumored to be in the running. According to THR, Miller will be submitting a version of a script that has a darker approach to the title character, which is in direct contrast to what Daley and Goldstein have been working on. But there is a bit of a time table on this, as choosing the script could help determine whether or not Miller stays on as the Flash. Not that we got to see him as the speedster for very long. However, the move shows just how committed he is to the character. The script reportedly could be submitted as early as this week. Daley and Goldstein’s approach is in stark contrast to what Miller and Morrison are offering. Sources told THR that the two, whose credits include Spider-Man: Homecoming and Game Night, have taken a light-hearted approach to the character. Something that WB has favored in the wake of Aquaman‘s success and the overwhelmingly positive word of mouth that the upcoming Shazam! has been getting. While both sides have made compromises in the past year, the film is still nowhere near getting close to production. And with Miller’s deal to play the Flash expiring in May, WB will have to make a decision. One that could determine if Miller decides to stay or just speeds off in the other direction. Should they choose Miller’s script, the actor would obviously stay on, but it’s unclear if Daley and Goldstein remain as directors. Additionally, the darker take would be a huge 180 for the cinematic version of the character. 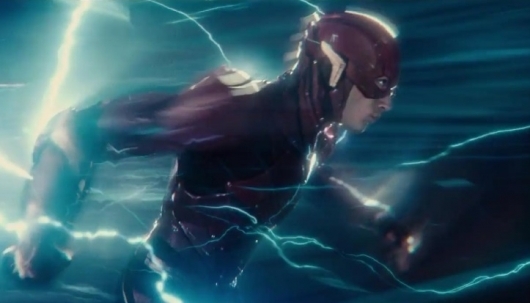 In Justice League and in his very brief cameo in Suicide Squad, Miller’s Barry Allen was one of the bright spots of the two films, giving them both light humor in a film that was so dark. It should be interesting to see what happens this week though.